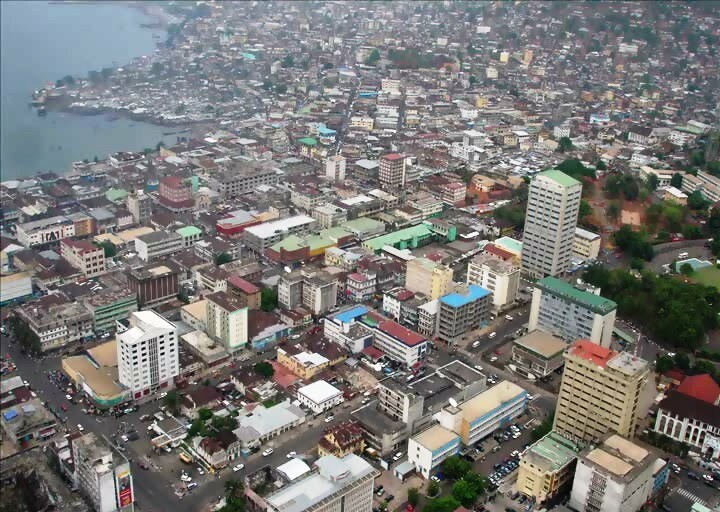 Freetown covers about 35 square miles and approximately 1.1 million people live within its land area. There are huge challenges with the transport system, solid waste management and sewage management. 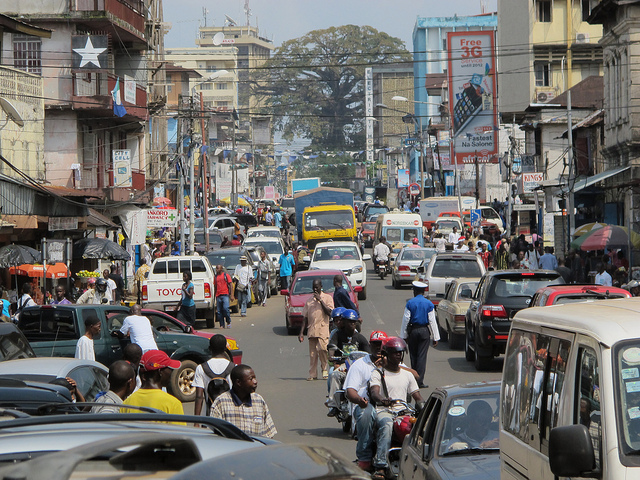 Andrew Keili, author of Ponder My Thoughts Volume 1, a collection of news analysis, opinion, and essays on the most talked-about topics in Sierra Leone, looks at what the city and the national government should do to ease the problems. The city of Freetown celebrated her 225th birthday on Saturday March 11 amidst much pomp at pageantry outside the Law Courts Building. The City Authorities and the celebration committee had collaborated well to put up a good show. Freetown Players did a good skit on the founding of the city, attributing the founding to Thomas Peters and his band of Nova Scotians who arrived in 1792. In various speeches by Mrs Cassandra Gerber (Matriarch of the Krio Descendants Union) representing the settlers/descendants, the Mayor and Vice President, the roles of Thomas Peters and the early settlers and their descendants were touted. Vice President Foh was appreciative of the role played by Krio descendants in the life of many Sierra Leoneans including himself and his siblings who had benefited from the home care and tutelage of Krio patrons. The emphasis on the role of Thomas Peters with pupils from the Thomas Peters Municipal school in attendance was more pronounced than any of the other early players. The story goes that Peters was one of the Black Loyalist, " Founding Fathers". After convincing over 1,100 American blacks to return to Africa, in 1792 they arrived at St. George Bay Harbor. Peters led the newly named Nova Scotians ashore. He soon became at odds with authorities and later became disheartened. Soon after Peters died of malaria in Freetown during the first rainy season in 1792, leaving behind a wife and seven children. A number of Krios can claim descent from Thomas Peters and he is considered by most to be a "George Washington" figure of Freetown. There are indeed many variations in stories about early life in the city and how the potpourri of city residents came to Freetown but I rather like the version in the book "Freetown-a symposium" by Christopher Fyfe and Eldred Jones, published in 1968. "The city was populated by successive groups of immigrants. 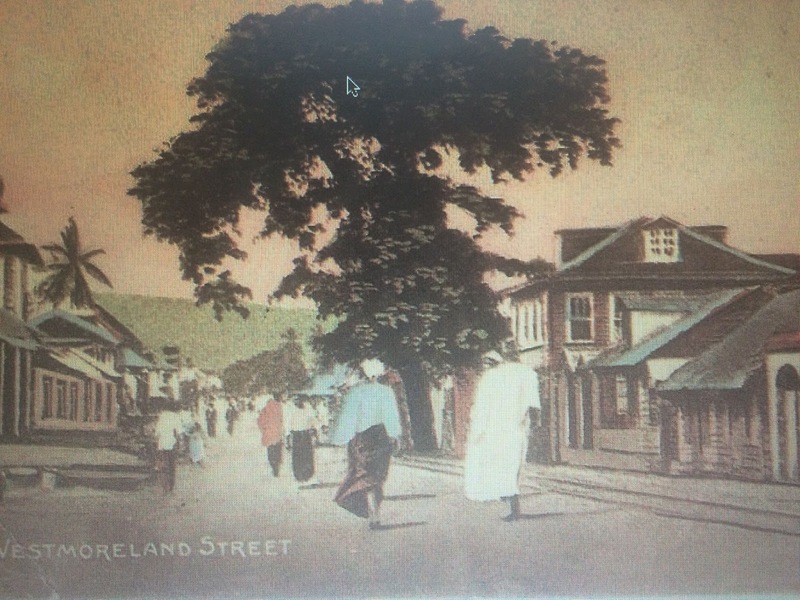 First were so called Granville Sharp Settlers, immigrants of African descent who in 1787 founded their settlement, Granville Town, on the present Freetown site, somewhere near where the State House is today. Three years later they were driven away by their Temne neigbours and their settlement was destroyed. In 1792 came the Nova Scotian settlers, immigrants of African decent from across the Atlantic. They refounded the destroyed settlement, which was given the name Freetown. Eighty years later they were joined by Maroons, members of an Afro-west Indians community who originated in Jamaica. Also from as early as 1793, Kroo labourers began arriving in Freetown where they formed their own community. From 1808 until 1863 recaptives were brought in regularly to Freetown. Rescued from the slave-ships that were taking them across the Atlantic they were settled in the city or nearby villages (from which the often moved into Town) the majority were Yoruba, though many originated from the homelands as far as off as Senegal the Congo and even East Africa. " But then there were also local settlers and traders and missionaries from various places, according to the book. "Settlers also moved in from the surrounding countries. Fula and Mandika traders formed their own trading communities. And although in the second decade of the settlement the Temne were driven from the villages in the Freetown area as the nineteenth century advanced there was a growing influx of Temne, Mende and other neigbouring people into the city attracted by opportunities of employment. In addition to the settled population there was a small transient population of officials traders and missionaries who came to rule or work not to settle. Most were Europeans; some were Afro-Americans and Afro-West Indians From 1792 to 1807 the officials were employed by the Sierra Leone Company from 1808 until 1961 by the British Crown." Therefore right from the beginning the inhabitants of Freetown had always been extremely heterogeneous. They became, as the book says "united by a common way of life, of a type unfamiliar in the country which contrasted strongly with traditional rural ways". Freetown is now notorious for its poor planning or lack thereof. But how was the planning at the initial stage? The book is very complimentary about earlier planning. "Freetown has always been a planned city..... from the start it was laid out systematical by the Government. In the first days of settlement the city was surveyed and the urban area divided into house lots separated by streets: the present layout of central Freetown dates from 1794 when it was rebuilt after being destroyed by the French. The planning tradition of the founders was continued by the later governors. Under Governor MacCarthy for instance, Streets were laid out as far as West Brook Street; Governor Dundas Campbell planned the area where two long streets still commemorate his name. As the city expanded, straight, wide, formal streets were laid out by government surveyors according to deliberate plans......Hence Freetown was and looked like a colonial city, planned by authority in orderly fashion, according to the convenience of the Government rather than of its inhabitants." Mayhem did however set in with the planning later in the East end. The book describes this aptly. "Nevertheless within the strait-jacket of the formal, planned street layout, there did grow up unplanned clusters of houses. Lots intended for one house often had several built on them. In east Freetown particularly what were virtually small villages emerged between the wide streets, with houses squashed together in defiance of regulations. 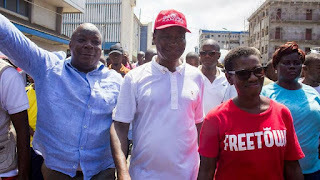 Similarly, many localities became known not by assigned streets names (which usually commemorated governors, surveyors, or other dignitaries) but by indigenous names –Bobocombo, Fish Stone, Krojimi, Oke Mauri." Commendable attempts were made to supply water and electricity in the early days. "The first plan for a piped water supply was drawn in 1872, for a small dam across the upper part of Nicol’s Brook with a storage tank at Tower Hill. This was to serve the then Military Hospital at the foot of Tower Hall, the barracks, Government House, the hospital police barracks, prisons, the vegetable market at George Street, Pultney Street, Oxford Street, and Trelawney Street." "From the funding of Freetown to 1927, domestic and public lighting was provided by candles, and oil and gas lamps of various types and makes. Street lights were erected to strategic points in the city and these were lit every evening by lamplighters carrying short ladders to ascend the steel lamp standards. This process was repeated in the morning when the lights were extinguished." Guma dam (the main source of water for the Guma Valley Water Company) and the National Power Authority were grand schemes when they came into being, bringing much improvement to the water and electricity situation but later became grossly inadequate for the city's needs. From the planning point of view things have gone downhill in the city. The population growth has been phenomenal. In the same book, Milton Harvey and John Dewdney state that the major problems are future expansion of the city, intra city mobility, inadequacy of services and unemployment and crime. 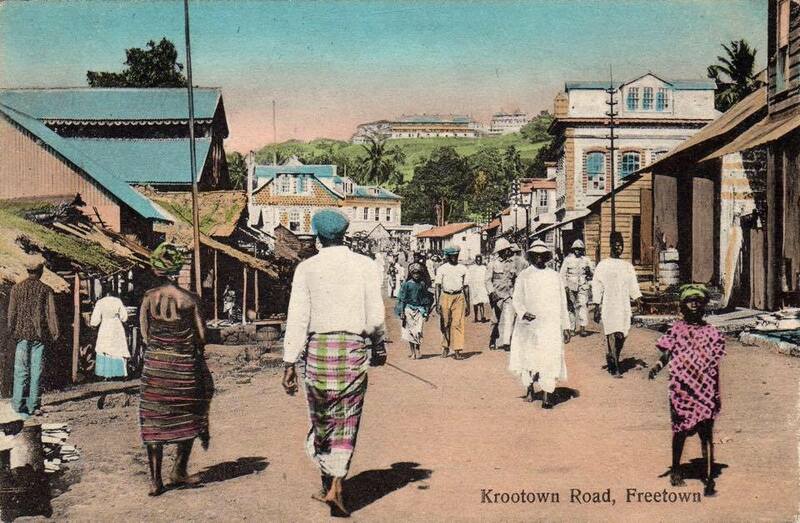 The population of Freetown in 1792 was 100 and in 1963 it was 127,917-it is now ten times the 1963 figure. S.R. Dixon Fyle, in the same book, writing on the social problems of Freetown gave the following opinion: "This issue of enforcement and compliance had several dimensions. It was for instance a political problem in which certain categories of citizens conferred on themselves and, by proxy on their associates, a virtually impenetrable immunity from formal accountability." These observations even in the "good old days" of the 1960's could only get worse in 2017, with a tenfold increase in the population of Freetown. The planning problems of Freetown still continue unabated. The ineffectiveness of state Ministries, Institutions and the City Council in addressing the planning problems of Freetown is well known. There is a massive rise in construction of houses and new communities are sprouting up everywhere. According to Shack/Slum Dwellers International (SDI) Freetown is home to at least 61 informal settlements, many of which are perched on the last vestiges of land before the sea. Their names evoke this proximity to water: Kroo Bay, Susan's Bay, Magazine Wharf and Queen Elizabeth II Quay. 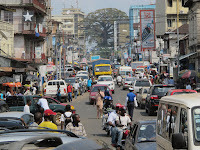 Freetown is overcrowded and housing is scarce. The average occupancy rate is 12.5 persons. In 20% of the households more than 10 persons sleep in one room. Building density varies considerably across the city ranging from 1 to 145 houses per ha with an average of 17 houses per hectare. Congestion is aggravated by street trading. Traffic management is poor and parking is a problem. There are huge challenges with the poor transport system, solid waste management and sewage management. Buildings perched precariously on hilltops with poor access and natural disasters with low lying slum areas are much too commonplace. But what should Freetown do at 225 beyond the government trying to ease the problem by developing provincial areas and stemming the urban migration problem and/or building satellite cities? In many ways these larger problems are within the realm of the government and outside the remit of the Mayor Sam Bode Gibson. The Mayor and his team should however be more proactive in sorting out problems squarely within their purview. Why not think of more innovative and effective ways of collecting individual tax dues, property taxes and market dues which could be considerably optimized? If "sevismen" can make a good living out of illegally parking cars in the city, why has the FCC not been effective in doing so? What is the status of the long touted city market and how can it be accelerated? What obstacles are there in privatising some of the service functions in the city and how can these obstacles be circumvented? In many ways Central government has not been that helpful to local government bodies in their quest to be more financially independent and it behooves the government to assist in this venture. 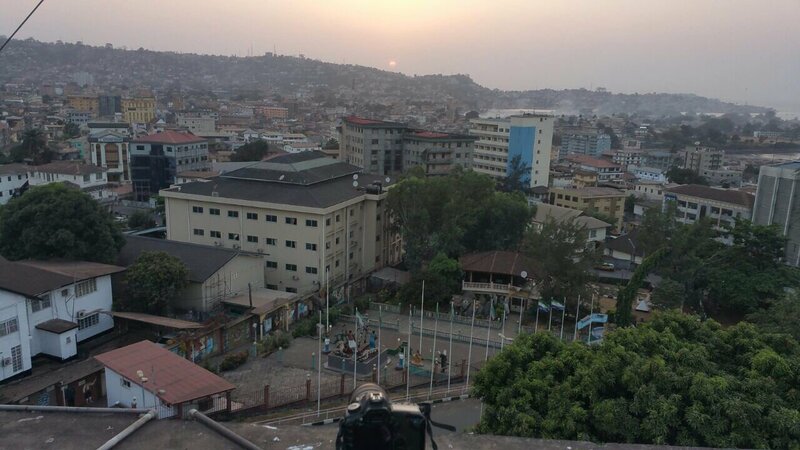 Freetown at 225 is perhaps too free for our comfort and sometimes freedom can go awry. Thomas Peters and his band of Nova Scotians will find it very difficult now to travel from St. George Bay Harbor to the cotton tree. 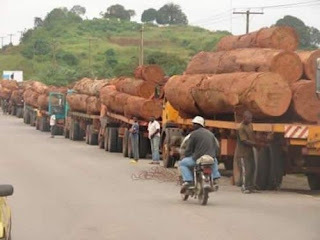 Street traders, okada riders, pickpockets and the general traffic will surely impede their movement.